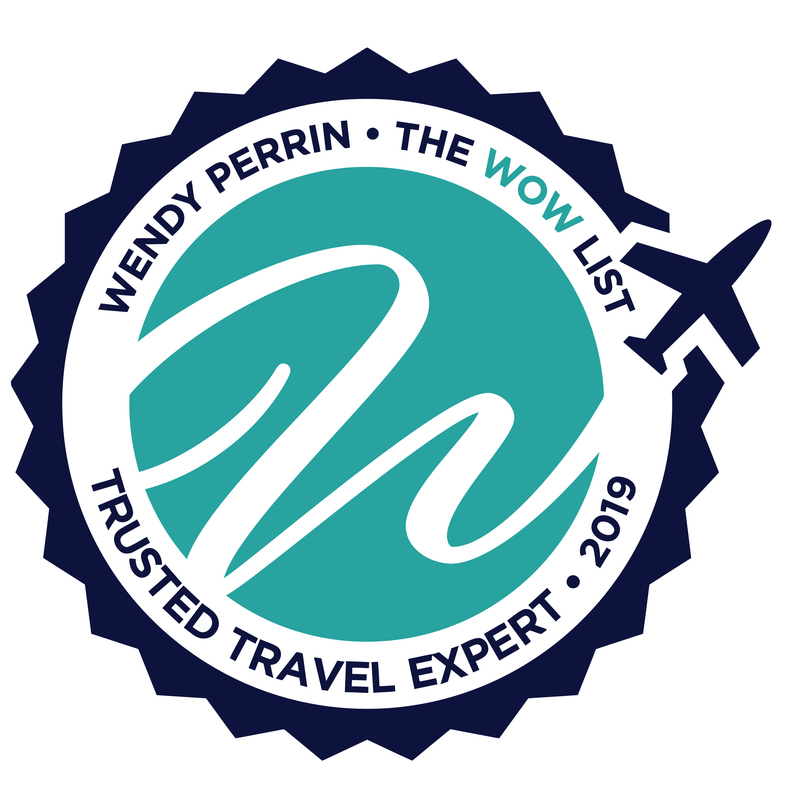 Ashton Palmer is on Wendy’s WOW List of Trusted Travel Experts for his expertise and connections in Antarctica, the Arctic, and with Small-Ship Expedition Cruises. The reviews below are from real travelers who’ve taken trips that were arranged by Ashton and monitored by Wendy. Don’t miss Ashton’s Insider’s Guides to Antarctica Cruises, Arctic by Land and Sea, and Small-Ship Alaska Cruises: Insider’s Guide to the Best Ones. Four our three-generation family vacation, Ashton arranged a Galapagos cruise on the Lindblad/National Geo ship. It was a perfect match for us—knowledgeable guides, multiple outings every day to suit our differing athletic abilities, great food and a superb dining room staff who actually remembered all our food preferences. The trip went off flawlessly, but it was comforting to know that Ashton was in our corner had anything went wrong. Other Wow agents have rescued me from day-of-flight blizzards and other bad travel karma. I know Ashton would have done the same, just glad he didn’t have to! Ashton was able to steer us gently and professionally to Silversea’s Silver Cloud instead of the cruise line we were originally considering on our own. Ashton was very helpful in helping us select a cruise line and was always available for our seemingly never ending questions. However it was during the cruise where he really demonstrated his value. We had an issue come up on our transfers to the ship and he jumped into action. He corrected the issue immediately. Would absolutely use him again. Ashton and his team did a great job. They were on top of every aspect. Ashton worked with the dates we provided him and gave three great recommendations for our cruise to Antarctica. We selected the “Island Sky” with Polar Latitudes and were not disappointed. He coordinated all of our itineraries and provided advice when needed. They go the extra mile to listen to your needs in order to find the best travel options for you. This was our fourth trip with Ashton Palmer’s team, and there is a reason that we go back to them again and again. We had a complex itinerary set up for a family voyage to Antarctica over winter break. In looking at our schedule, Ashton and the team saw that we had a few days before departing Santiago for Ushuaia where we might take advantage of some time in the Atacama Desert. Well, this ended up being the absolute trip of a lifetime, and the best travel advice we ever took. Atacama was stunning — a high, dry and visually spectacular desert landscape with daily excursions from the first-rate Explora Hotel. This was the perfect prelude to the Antarctica expedition, a frozen desert in its own right teeming with wildlife. As always, Ashton and his team managed every detail flawlessly, from the selection and booking of the hotel and expedition to the organization of every critical detail needed to ensure that the trip was seamless. This included ensuring that our family managed a complex series of flights with the least amount of stress. Every question we had was answered, often within hours. All of our trip documentation was well-organized, with Ashton’s team ensuring that all forms were submitted well ahead of time — they have a very convenient electronic platform to access all that we need. We also received a comprehensive trip packet covering every aspect of our trip well ahead of departure. Ashton’s team is professional, efficient, enthusiastic and knowledgeable. They go the extra mile to listen to your needs in order to find the best travel options for you. We are a well traveled family that only seeks the best, and will certainly be going back to Ashton in the future! The service provided by Ashton Palmers and his team were great. Good ideas from them, and they answered questions promptly and cheerfully. Ashton helped us chose the right cruise line, the right itinerary, the right ship, and even the right cabin. This was our first time on a cruise and he patiently answered all our questions and helped allay any concerns we had. I will definitely be working with him again on our next cruise. My husband and I have just returned from 3 weeks in Alaska. We used Ashton Palmer, as well as Jennifer Santoyo and Sarah Anthony on his staff. I can’t say enough good things about them. They were always quick to respond to our questions or requests. They had suggestions to make our trip better, and ways for us to save money. For instance, I had not even considered adding a bear viewing component to our trip, but once Jennifer suggested it, we were all in. She worked with me to secure a cabin at the lodge of my choice. And she was supportive when there was a snafu on the lodge’s end. We spent 3 nights at Silver Salmon Creek Lodge and absolutely loved it there. One concern with staying at Silver Salmon is sometimes bad weather comes in and the planes cannot fly to get you back to Anchorage or wherever. I knew this going in, but our itinerary was so tight I couldn’t add a day for wiggle room. Sarah spoke with David Coray at Silver Salmon and worked out a plan B. That took a load off of my mind. The next leg of our trip was at North Face Lodge in Denali National Park. They only take reservations by phone and there are a limited number of queen beds, which we had requested. The day North Face opened reservations for 2018, Jennifer spent hours on the phone trying to get through to their 2 phone lines. She was successful and we had a room with a queen bed! The final leg of our trip was a week spent on the National Geographic Quest with Lindblad Expeditions. Ashton had sailed on this ship in 2017. When I couldn’t find photographs of this ship he shared some of his own photos with my husband and me. Ashton’s team supplied us with an updated itinerary at each step of the planning process. They contacted me when Alaska railroad opened up reservations for 2018. I didn’t have to keep checking and then contacting them. They were on top of everything. Finally, Sarah did something that prevented a major headache on our part. Lindblad does not send out their final documents until 1 week prior to the voyage. Since our trip was 3 weeks long and the cruise was the final week of our trip, we would not be home when the documents arrived. Sarah contacted Lindblad and requested they send it out to her early, then she overnighted everything to us. I had not even thought about this potential problem, but Sarah had it handled. I highly recommend Ashton to anyone planning a trip to Alaska. I was so glad I found him on the WOW list. This trip was to celebrate our 30th anniversary, and it exceeded our expectations! Planning this trip involved a series of detailed emails with Ashton Palmer and his staff, with the result that everything about the trip (to Peru) was perfectly tuned to our interests and abilities. In the Sacred Valley, we were paired with a guide who knew every stone at every site, and every corner of every town. We were able to visit a tiny village where textiles are created starting with shearing the alpaca and ending with weaving the finished product and saw how the different dyes are created, how the looms work, and how people live above 13,000 feet. We met our guides mother, who lives in an original Inca house and cooked us a snack. Talking to other travelers, it was clear how much more we saw of how people live than do most other tourists, and how much richer our experience was as a result. From the Sacred Valley, we went to the Amazon to visit the Pacaya-Samiria reserve, something I’ve wanted to do my entire life. There are a lot of ways to see the Amazon, but Ashton pointed us to the one that gave us the immersive experience we wanted, and my unreasonable expectations were more than met. We ended in Lima, where the highlight was a tasting market tour with a chef followed by a 7-course lunch with the kind of commentary every home cook dreams of (“if only I had someone here to tell me how to make this delicious dish…” and there she was!). Ashton Palmer is the person to work with if you want a chance to get closer to the place you’re visiting. We saw all the sights; but we did so much more than that, in exactly the way that suited us best. I can’t imagine how we would have put something together on our own. Most highly recommended! When I questioned the “bring your own boots policy“, he approached the tour operator and arranged to have the rental boots waiting for us on the boat. We had an amazing experience thanks to Ashton and his team. Ashton Palmer and Sarah Anthony our travel coordinator on his team, did a wonderful job helping us plan our trip to Alaska’s Inside Passage on the National Geographic Quest in May. We had never taken a cruise before ( except small ones on rivers ) and were apprehensive because my husband gets seasick easily, moreover we always travel by ourselves and the Quest carries 100 passengers, which seemed large for us. After Ashton’s assurance that the Inside Passages waters were smooth and very much like a river, we signed up and enjoyed all facets of the voyage immensely. We especially appreciated the very detailed documents that Ashton sent us online very early on and also Sarah’s help when we realized we needed to rent additional gear because of the weather. Ashton Palmer and his team, Jennifer Salinas, and Sarah Anthony were all outstanding/superb. From Ashton’s response to my initial inquiry to follow up from Sarah and Jennifer I was assisted on a regular basis with pre-trip advice and planning. I would use them again in a heartbeat. I rated my overall trip experience as fair, as the logistics of the trip resulted in too much “down time” in transport between trip activities. This resulted from the trip itinerary and is not a reflection at all on the outstanding job done by Ashton and his team. I cannot thank Ashton, Olivia, and Sarah enough for helping us organize the trip of a lifetime with A&K on Le Lyrial. They were with us every step of the way. From the beginning, they assessed exactly what we were looking for (down to what interior design style we preferred in hotels) and made informed recommendations for us. They are meticulous and organized–I especially appreciated all of the documents they have detailing hotels, ships, etc. and the dropbox with everything we needed! When we had to change our itinerary and switch ships entirely, they gladly handled it and made everything seamless. 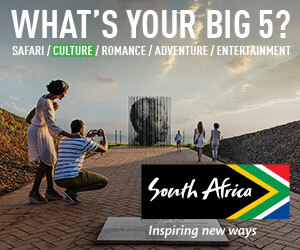 They truly want you to have the best trip possible and their passion for the destinations is obvious. Excellent, accurate advice on our Antarctica Expedition. So glad they advised us well on which cabins were best for people prone to seasickness. Trip materials/ documents were complete. No detail was not attended to. Ashton’s knowledge + courtesy + that of his staff was appreciated! Ashton was excellent in helping us to plan this trip. He guided us to the right cruise for Antarctica with teenagers and he and his office planned an outstanding trip to Iguazu Falls and Buenos Aries. He helped us make the right choices for the best trip we could have. Ashton and his staff were on top of all the details of our trip and helped us when the hotel used by the cruise line closed unexpectedly. The new hotel was great. Incredible way to visit our seventh continent! Ashton along with Marybeth and Chris on his team were the perfect people to help us reach our family goal of visiting all seven continents. Ashton called me to learn about our family and our wishes for the trip. He directed us to the beautiful ship, Le Lyrial. Le Lyrial offered a family cruise with Abercrombie and Kent. Everything about this trip exceeded our expectations (and we went on the trip expecting great things). Our trip dates were December 28, 2017-January 7, 2017. The crew on Le Lyrial was very knowledgeable, professional, friendly, and fun. The wonderful crew, combined with the very fun and friendly passengers on the trip made this a fantastic experience for our whole family. We enjoyed befriending people from all over the world. We and our three children were thrilled with the new friends their age. The young explorers program was great and set off the whole journey on a very positive note, with interesting information and fun activities. The people from Abercrombie and Kent and from Ponant all added great value to the trip. We learned so much from the lectures and enjoyed each excursion. All of the animals were amazing! Our favorites were the penguins. We also enjoyed the seals, birds, whales, and even dolphins on our way back to Ushuaia. The ship was beautiful, comfortable, safe, and clean. The food was delicious, too. This was our first expedition cruise. Many other passengers had done several cruises. We all agreed this one would be difficult to top. Thank you to Ashton for booking this very special, memorable family vacation! Ashton Palmer and his team are first class. We travel widely and I personally have visited over 80 countries for work or pleasure. Ashton’s team helped me and my family to arrange our single most rewarding and enjoyable trip by far — a Lindblad cruise to the Arctic. We have since booked two additional trips with him (Galapagos and Alaska), and are in the process of booking a fourth. Ashton spent a lot of time learning about our family and its preferences. He has access to a wide arrange of options and made sure to tailor them to our needs. Every detail is covered with each booking. Our itineraries were highly organized and provided to us both electronically and in hard copy. Ashton’s team also provided us with extensive information on each trip to help us to prepare and made sure we met every key deadline. Friendly and responsive, Ashton’s team always goes the extra mile, helping us to secure an airline refund for a trip segment that was canceled in Alaska due to weather. If you are considering an expedition trip or cruise, you just can’t do any better. Ashton Palmer and Jennifer and Sarah on his team were all very helpful in planning this trip, The first part of the trip (July 4-13) was on a Lindblad/National Geographic ship which circumnavigated the island. Ashton set this up for us and even booked us into a cabin on the island side of the ship. From July 13-18, after leaving the ship, we had guides and tours in and around Reykjavik, which Jennifer and Sarah set up for us, with lots of back and forth planning until they had established the perfect itinerary, fulfilling all our wishes for the stay. On our first day in Reykjavik, there was a problem with a booking, and their people took care of the rescheduling and all worked out well. We then went to France for a week; and, on our return, they even set up a day tour for us during the layover; having also arranged for a hotel to keep the luggage we needed for Iceland but not for France. We had four different guides during the total of 6 days, and each was good and made sure we saw and did everything possible. The hotels were all very nice and centrally located. Even after we returned home, Ashton promptly helped us to obtain some information we needed. From beginning to end, Ashton’s team did all they could to ensure us an unforgettable experience. Professional staff eager to share their love of Alaska and its majestic scenery and wildlife. Ashton and Allison at Expedition Trips were exceptional organizers. Ashton helped us zero in on an appropriate family friendly trip in Alaska. We considered cruises, large, then small, and finally ended up with a perfectly curated mix of fishing, backcountry hiking and glacier kayaking. Marybeth and Allison (and in her absence while on vacation Aubree) meticulously organized every detail and made sure that all our information was conveyed to the trip outfitter. We cannot say enough about the outfitter. Immensely professional staff eager to share their love of Alaska and its majestic scenery and wildlife. Only shortcoming as far as Expedition Trips may have been greater direction on where to stay in Anchorage. We stayed on the inbound at the Lakefront Hotel simply because it was a meeting place for our tour but the hotel is run-down and a bit unkept. On the return from the glacier lodge, we stayed an extra night at the Embassy Suites before returning home. A much better choice of hotel for families that need a little extra space and extraordinary ample breakfast (included in the daily rate) before their long travel home. Travel specialist took the time to understand our needs and wants and put the perfect trip together. They were proactive, knowledgeable and responsive. They followed up throughout the process to ensure all would go well. Ashton and Marybeth on his team arranged the trip for us. We had already decided to join friends on this voyage, so it was really just a matter of asking Marybeth to book it. Their suggested cabin was perfect for us. We have used their services before and knew that our request would be handled quickly and efficiently. They were able to book pre and post cruise hotels for us as well. Any travel agent can book hotels and plane tickets. The good ones send you to wonderful places and suggest unique experiences. The really, really great ones come through when something goes seriously wrong and produce a trip that is still perfect. Ashton Palmer is in this last category. We were already half-way through one of the greatest trips in a life of traveling (Atacama, Patagonia) when our Antarctic cruise was cancelled (mechanical problem) the day before we were to embark. We were stranded in Ushuaia, no hotels, no plans, no plane reservations, between Christmas and New Year’s so everything was booked up. We had no idea what to do or where to go and were having trouble even finding out what was happening. Ashton and his team got to work immediately, reassured us, clarified the situation, found us flights to Buenos Aires, a perfect hotel, new flights home, and negotiated a wonderful settlement from the cruise line. They have handled the refund process for us as well. This was not a small amount of work, and due to the time difference it involved them starting work as early as 5 am. I have had trips go askew before, and have been stuck in more than one remote place; but I have never had a travel agent step up the way Ashton did. I would recommend him enthusiastically based just on the quality of the trip that was planned and the wonderful arrangements that were made; but I cannot say enough about the flawless service when we really needed it. By far the finest travel professional I have ever worked with. We started the process of planning this trip around 18 months ago. Its been stress-free with all the planning. Anytime I had a question or needed clarification, I got an immediate response. The trip itself was flawless and rates as one of the best trips we have ever done. I will definitely use Ashton Palmer again if we plan another Polar expedition. Because this trip went so well, we are actually talking about doing an Arctic trip in the future. Ashton and his team are second to none. They identified a range of incredible Arctic options for our family, and also provided a well-organized and systematic comparison of each trip (ship, itinerary, price, wraparound travel options, etc.). Emails and phone calls were responded to right away, and we received a comprehensive package of materials and trip guidelines that made it easy for us to make our way to a rather remote initial destination in Greenland. Ashton is clearly passionate about this work, listens to his clients, and is extremely service oriented. We could not recommend him highly enough.